Artists, both past and present, evoke emotion and make political statements with their true-to-life paintings. 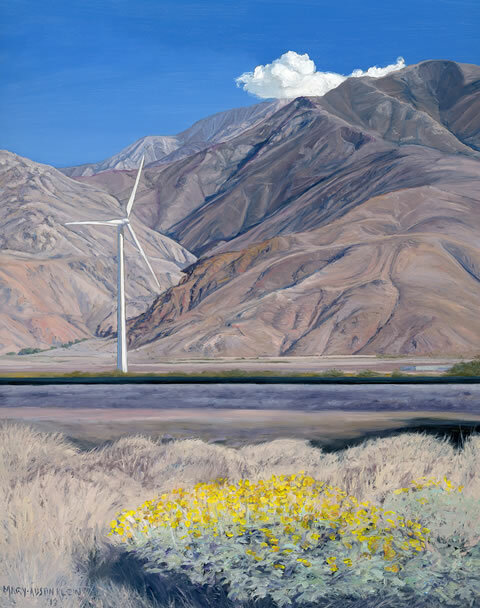 Realist oil painter Mary-Austin Klein depicts the open spaces of the Mojave Desert, Kern County and the Pacific Coast with pinpoint accuracy, yet she also imbues her canvases with emotion—the anonymity and desolation of the desert, the harshness of man’s impact on the land and the fragility of ecosystems. Traffic cones tipped over in “Cones at Redwood Rest #1, Descanso Gardens” convey the carelessness in developing the land and taking it for granted. 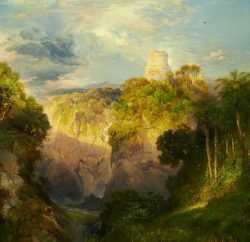 Mary-Austin found inspiration in California landscapes at an early age. She was born in San Bernardino, and now lives in the Echo Park neighborhood of LA, with frequent trips to Twentynine Palms and Santa Barbara. Mary-Austin Klein has shown her work at Sue Greenwood Fine Art for the past six years. Robert Henri was a seminal figure in American realism. He’s known as the leader of the New York-based Ashcan School, which sought to portray the city in all its gritty glory. 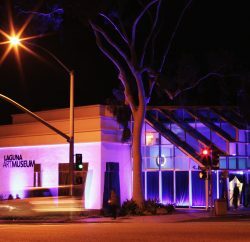 Robert made his way out to the Southern California in 1914, and returned on subsequent visits through 1925. 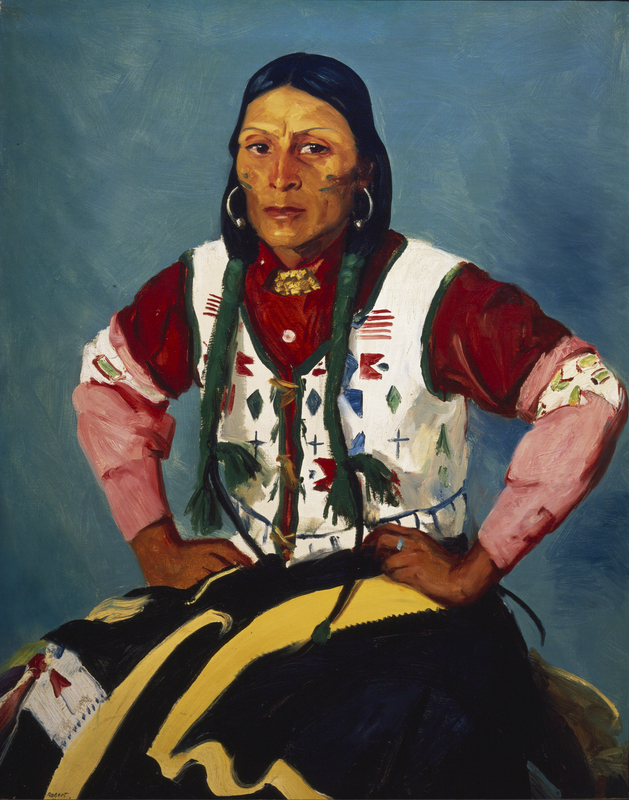 During his trips out West, he made a special effort to paint portraits of subjects with diverse backgrounds—African, Chinese, European, Mexican and Native American. He infused a poignant humanity in his sitters, many of whom were still discriminated against by the broader American populace. About a dozen of his oil paintings grace “Robert Henri’s California: Realism, Race, and Region, 1914-1925,” a current exhibition at Laguna Art Museum that focuses on people of color and children. In his portrait of a Chinese girl, “Tam Gan,” the bright, citrusy colors of California fill the background, and are also reflected in the young subject’s face. 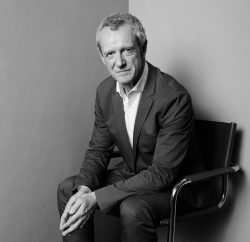 Not only were Robert’s views ahead of his time, his approach to the medium has influenced other artists such as Edward Hopper, Stuart Davis, George Bellows and Arnold Franz Brasz. 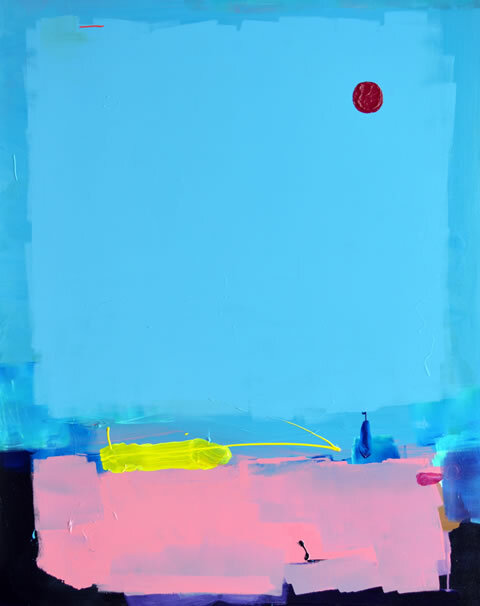 International artists come together in a JoAnne Artman Gallery exhibition (“Lost in Translation Too”) that showcases contemporary pieces influenced by their respective cultures. With a variety of artistic styles and art that transcends language barriers, the pieces inspire and engage those from all walks of life. 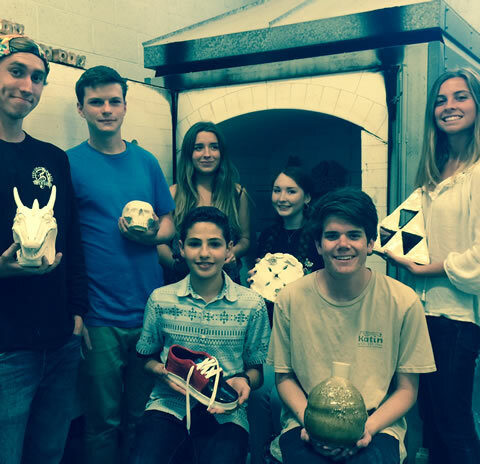 Laguna Beach High School’s AP ceramics class, led by Somer Selway, is displaying art pieces at coastal eddy, a gallery until May 9, 2015. The exhibition, “LB – AP – Clay,” gives students an opportunity to experience organizing and setting up their displays and appearing in a gallery, something they would not have been able to do without the partnership. After the students crafted their pieces in class, they presented their work to Somer and were then juried into the show for friends, family and other visitors to view what they created.